A study of the Madonna's head turned three quarters to left and bent slightly forward. She wears a veil bound around her head, which hangs forward neatly over her forehead. The subject of the Madonna and Child with St Anne occupied Leonardo for the last two decades of his life. The original commission possibly came from the French king Louis XII after his invasion of Milan in 1499. 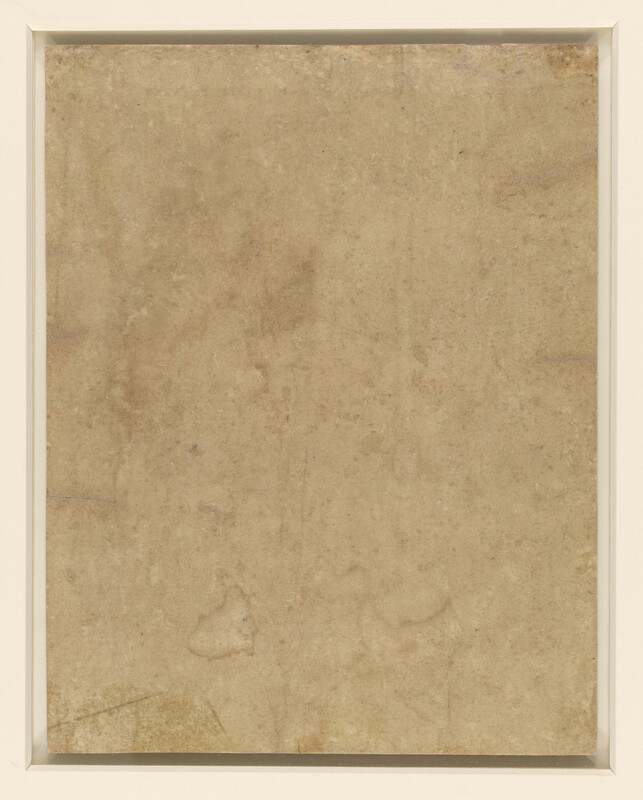 Leonardo produced three full-size compositions, of which a cartoon (National Gallery, London) and a painting (Louvre, Paris) survive. 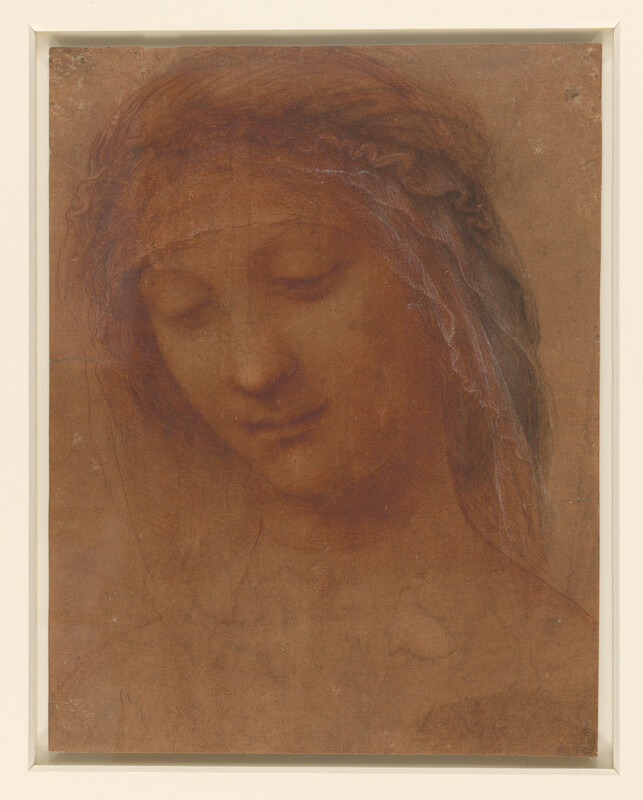 The painting was begun around 1508 and was recorded in Leonardo’s studio in France, still in progress, in 1517. This drawing may be connected with the St Anne compositions: the pose is that of St Anne in the first cartoon (as known through copies), and the headdress is similar to that of St Anne in the painting. But the face is that of a young woman, and it may instead be a study for an unrelated Madonna – there is documentary evidence of several late paintings by Leonardo of the Madonna and Child, of which we have no trace.